The case is being prepared by David Burstyner of Adley Burstyner, a group claim law firm established in May 2016 as an affiliate of Harwood Andrews, Victoria’s largest and oldest regional legal practice. “We’ll be seeking two things; one is compensation for revenue losses, and secondly, a court order stopping the abuse of market power,” Burstyner told Brews News. He said “more than dozens” of small brewers have expressed interest in pursuing the claim, following preliminary enquiries over the last few weeks. “The two brewers who control nearly 90 per cent [of the market] are creating tap contracts and others don’t have a level playing field,” he said. Burstyner said the proceedings would allege misuse of market power under sections 46 and 47 of the Competition and Consumer Act 2010. 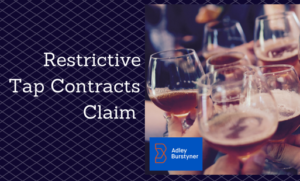 They will only tackle tap contracts “by dominant market forces”, meaning similar practices by smaller brewers, albeit on a smaller scale, will be outside the brief. “We don’t have a view good or bad upon that. Tap contracts by smaller brewers is a different issue, because at least there’s a more level playing field,” he said. The possibility of private litigation has emerged three years and four months after the Australian Competition and Consumer Commission began its own investigation into tap contracts. Burstyner said the group claim may be pursued regardless of the watchdog’s investigation, which was supposed to have been nearing conclusion in December last year. “The ACCC does a lot of good work and they may hand down something that is supportive and that would be useful, but there may be gaps in getting the complete outcome that industry wants,” he said. Adley Burstyner recently created a Facebook page to garner interest from brewers in the claim. At the time of writing, it has only been liked by ten individuals. “One of the things we do is gauge the appetite. We don’t want to bring this case unless there’s a significant critical mass,” Burstyner said. Burstyner previously worked at Europe’s oldest litigation funder as head of collective redress (as class actions are called in Europe), where he worked on successful claims with an aggregate value exceeding €500 million. These included competition litigation cases pursuing price fixing by air cargo carriers, as well as elevator and escalator cartels. He said it will be a long time before his investigations arrive at a total compensation figure targeted by participating brewers. “These cases involve a lot of economic analysis. When we know that we have the right level of interest or a critical mass, we’ll work with top economists to explain why it’s an abuse of power, and also to put a dollar figure on it,” he said. He has well developed relationships with litigation funders around the world, ensuring that participating brewers would not bear the cost of proceedings. 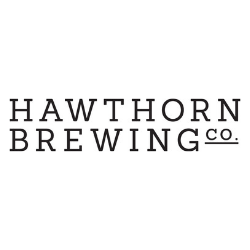 One of the key breweries involved in the claim is Melbourne’s Hawkers Beer, whose founder Mazen Hajjar is an outspoken critic of tap contracts. “We will probably be going ahead with it. Hawkers will take the lead but we will at some point look to add other brewers on board… there’s quite a few brewers who are interested in this,” he said. “Ever since I got to Australia this has been a topic that is close to my heart. I think this is the single most damaging thing to the industry today. “This is what’s holding back craft, this is what’s causing this ridiculous price competition between the craft brewers, because of the limited access to the market. “There’s a very important concept in Australian culture, which is a fair go for everybody. This is not a fair go for everybody,” Hajjar said. The Craft Beer Industry Association’s involvement will be limited to simply notifying its members of the proceedings, executive director Chris McNamara told Brews News. A Lion spokesman declined to comment. CUB could not be contacted prior to publication.